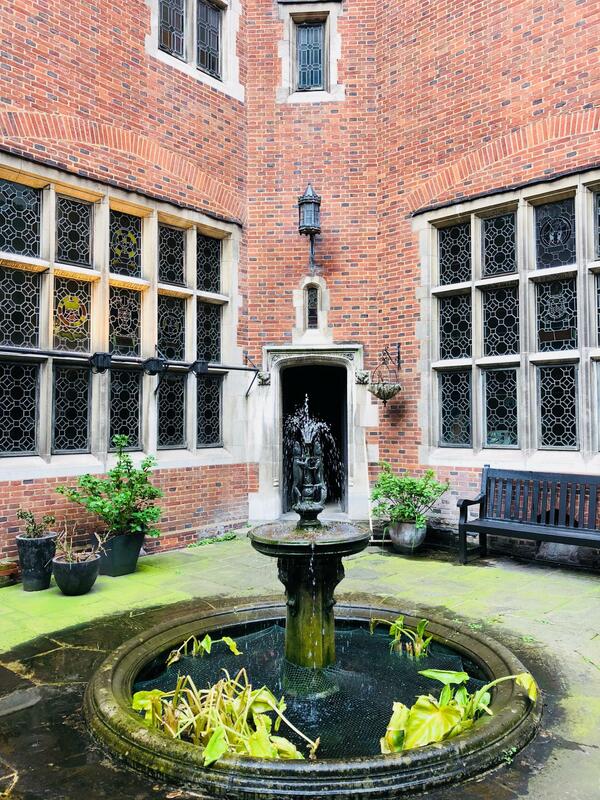 Our beautiful Courtyard is our private outdoor space with a salamander fountain right in the centre. It can be used for drinks receptions, barbecues, relaxing breaks and also for photos during celebrations and weddings. It can accommodate easily 40 guests standing at the same time. Very quiet, it is the best place to enjoy an Italian roast coffee or a chilled glass of sparkling wine! 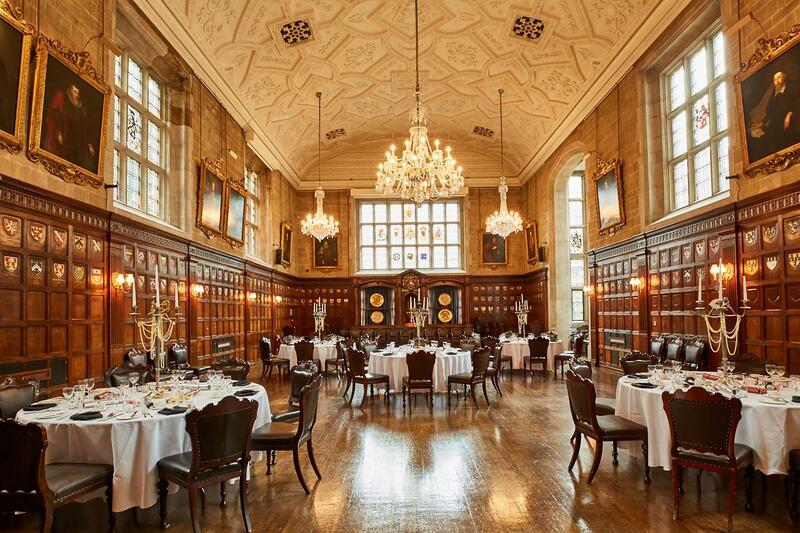 Built in the 1920’s, the Tudor style Hall feels like a country house re-located to the heart of the City of London. 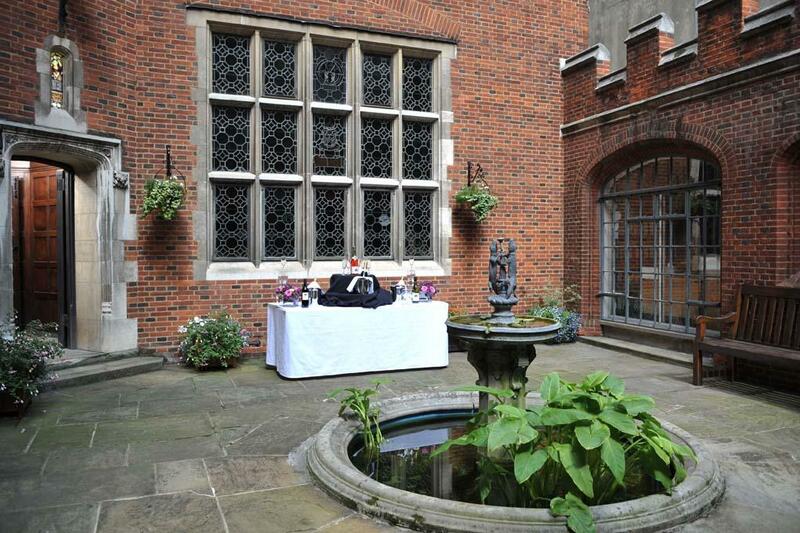 The Ironmongers' Hall has long had an established reputation for hosting a diverse range of both corporate and private events. This unique building with its striking architecture, and a choice of spectacular rooms, offers any event a comfortable, warm atmosphere within a venue steeped in history. 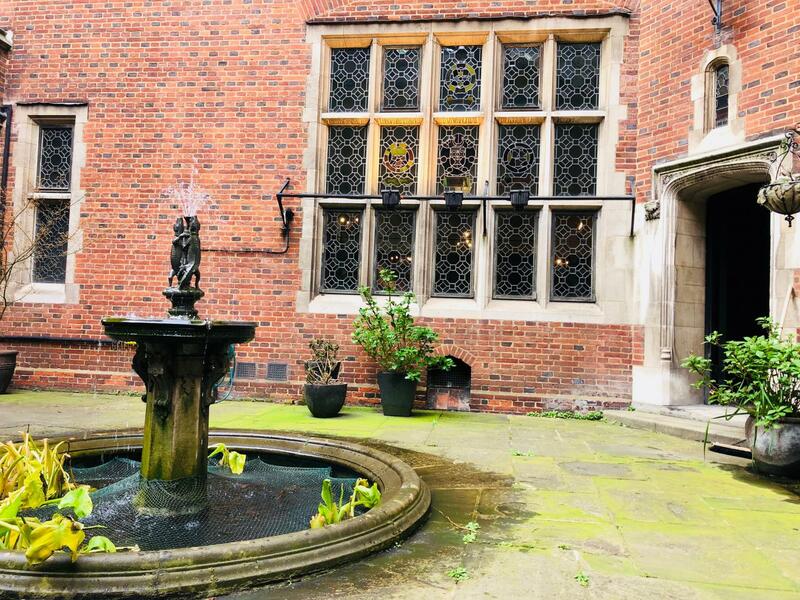 Easily accessible, with excellent rail and tube links close by, the Ironmongers' Hall is an ideal venue for any event, located centrally within the City of London, its mere minutes' walk from Barbican and St Pauls underground stations.